The Red Sox completed an impressive regular season followed by their historic comeback from a 3-0 deficit against the New York Yankees in the ALCS and their sweep of the St. Louis Cardinals in the World Series. 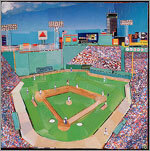 Along the way, the Sox carried with them generations of Red Sox Nation, their devoted and fanatical faithful. By virtue of being a member of the Red Sox, Curt Schilling becomes only the second person to be accorded the honor twice (Tiger Woods, 1996 and 2000). He joined his Arizona Diamondbacks teammate Randy Johnson as co-Sportsman in 2001. Hall of Famer Carl Yastrzemski is the only other Red Sox player ever named Sportsman (1967). Five previous Sportsman selections played in or have ties to Boston: Yastrzemski, Bill Russell (1968), Bobby Orr (1970) and members of the 1980 U.S. Olympic Hockey Team and 1999 U.S. Women’s World Cup Soccer Team. 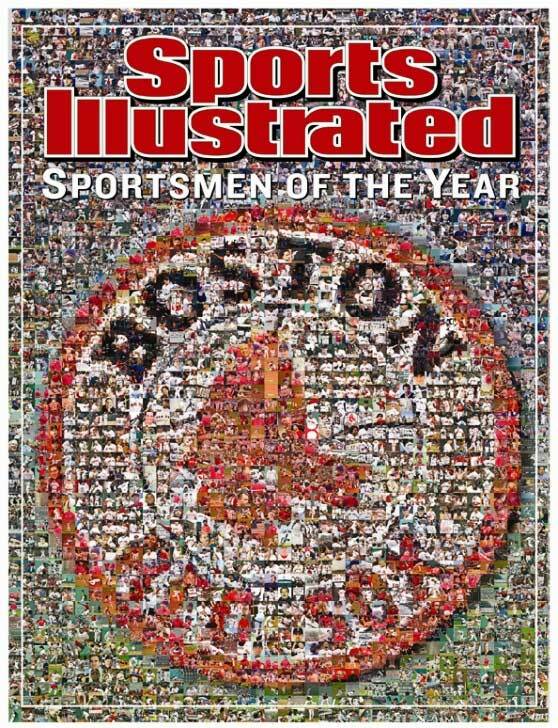 The Red Sox are the first major professional sports team to receive the distinction. The sport of baseball is being honored for the 13th time: Johnny Podres, 1955; Stan Musial, 1957; Sandy Koufax, 1965; Yastrzemski; Tom Seaver, 1969; Pete Rose, 1975; Willie Stargell, 1979 (with Terry Bradshaw); Dale Murphy, 1987 (one of eight Athletes Who Care); Orel Hershiser, 1988; Cal Ripken Jr., 1995; Mark McGwire and Sammy Sosa, 1998; and Schilling and Johnson.